I want to underline three particular aspects of Ernst Cassirer’s intellectual life in the 1920s which Habermas draws attention to in the opening lecture in his The Liberating Power of Symbols, in order to reiterate Habermas’ emphasis on the importance of Cassirer’s work of the 1920s – an emphasis which, I feel, remains somewhat understated in the lecture ‘The Liberating Power of Symbols’ itself. These three aspects are: (i) his involvement with the Warburg Library circle, (ii) his novel reception of Wilhelm von Humboldt’s philosophy of language and, (iii) Cassirer’s relation to Heidegger alongside his concern with a humanist, Kantian constitutionalism. As Habermas writes, the library’s very design thus reflects the way in which, for Cassirer, ‘The world of symbolic forms extends from pictorial representation, via verbal expression, to forms of orienting knowledge, which in turn pave the way for practice’. We can see that a progress through the Warburg Library, Image-Word-Orientation-Action, also follows (broadly) the subtitles of the three successive volumes of Cassirer’s The Philosophy of Symbolic Forms – Language, then Mythical Thought, then The Phenomenology of Knowledge. 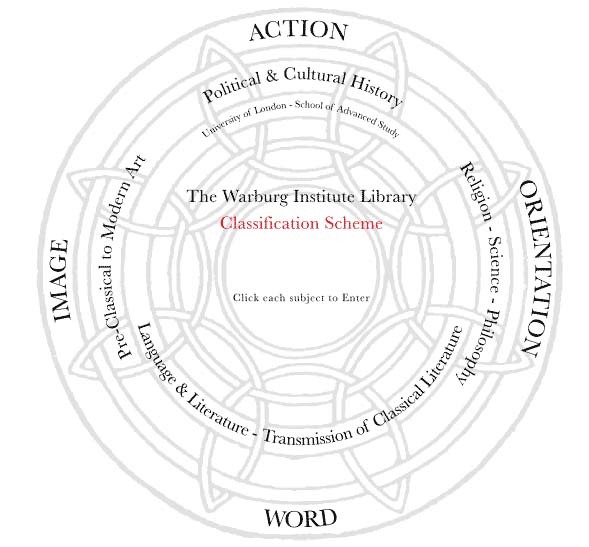 A representative report on the recent threat to the Warburg Library emanating from the new management culture of the University of London can be read here. Of course Cassirer’s philosophy of symbolic forms also emerged out of what Habermas calls his ‘innovative reception of Humboldt’s philosophy of language’ – a reception recorded in the 1920s in Cassirer’s 1923 essay ‘The Kantian Element in Wilhelm von Humboldt’s Philosophy of Language’. 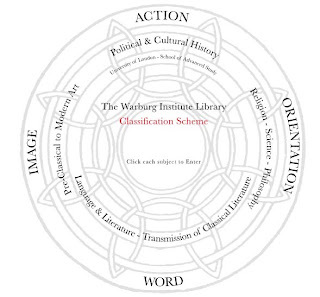 Before considering Humboldt’s rôle in Cassirer’s thought, however, it is helpful to understand how his contact with the Warburg Library circle influenced his theorization of the symbolic function of expression. As Habermas notes, the most obvious result of the stimulus which Cassirer received in the 1920s, ‘if not from Warburg himself, then from the scholarly discussions of religion in the circle gathered around him in his library’, can be found in Cassirer’s ‘important reflections on mythical images and linguistic symbols’. Cassirer’s 1925 treatise on ‘Language and Myth’, which – as Habermas observes – appeared in the series of studies published by the Warburg Library, drew on Hermann Usener's classic (1896) work on the formation of religious concepts, Götternamen. Bifurcation of the fetishizing gaze. Cassirer’s idea that, as Habermas writes, ‘Symbolic form is […] originally generated by a stylizing force, which condenses the dramatic impact of experiences’, made use of Usener’s theory of ‘momentary gods’ to (as Habermas puts it) ‘account for symbolic condensation as a response to the exciting ambivalence of meaning-laden experiences’. It is as if the symbolic transformation of sense experience into meaning is triggered by the very focussing intensity of the nature-traumatized human. ‘Such compressed, highly significant experiences, which are the focus of an isolating attention, can congeal into a mythical image, can be semanticized and thereby spellbound, given fixity by a divine name which makes it possible to recall and control them.’ Habermas quotes Cassirer: ‘only when this splitting off succeeds, when intuition is compressed into a single point and apparently reduced to it, does a mythical or linguistic structure result, only then can the word or the momentary god emerge’. 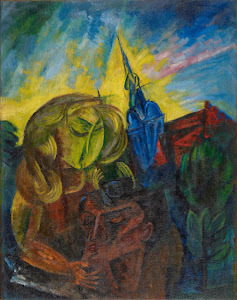 Again, in Language and Myth, Cassirer maintains that language and myth are ‘two diverse shoots from the same parent stem, the same impulse of symbolic formulation’, in that language and myth apparently emerge simultaneously from ‘the same basic act of mental processing, of the concentration and intensification of simple sensory intuition’. In a way which perhaps is comparable with Gillian Rose’s underlining (in The Melancholy Science) of the importance for Adorno’s thinking of a Marxist-modernist aesthetic of brüchigkeit or brittleness, Habermas stresses Cassirer’s concomitant emphasis on ‘the broken character of our symbolic relation to the world, a relation which is mediated by words and tools’, and on ‘the indirectness of a self-relation which forces human beings to make a detour via symbolically generated objectifications in order to return to themselves’. For Cassirer, Habermas writes, acts of symbolization are distinguished by the fact that they ‘break open environments shaped by the peculiarities of a particular species’; they do this by ‘transforming fluctuating sense impressions into semantic meanings and fixing them in such a way that the human mind can reproduce the impressions in memory and preserve them’. Thanks, Nicholas. 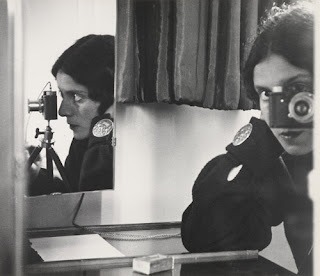 On a more 1920s German tip, I am just now wondering if you know Sasha Stone's photographs of Berlin, I suppose they were from the '20s. 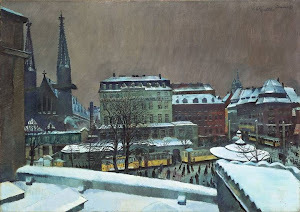 I know them from Siegfried Kracauer's book 'The Mass Ornament' - it just occurs to me that they have a sense of regimentation and 'eerie' (though I don't particularly like that word) formality that is rather like your City photos on Spits Life. I have just found a good Stone gallery at: http://www.fulltable.com/VTS/b/berlin/01/x.htm. Thanks for the link, Robert - Sasha Stone is new to me and I see exactly what you mean. He obviously took great care in waiting for the right arrangement of passers-by; the effect of an elevated vantage point or the rear view of figures is slightly sinister - techniques later often used by Hitchcock. Note the man and woman in an alley, separated by a Freudian bollard. Or the pair of women walking, seen from the back, approached by two stern figures, while seated men on the right stare intently at the camera - and a disembodied foot enters the frame on the left. Very interesting pictures. Nicholas Sack. 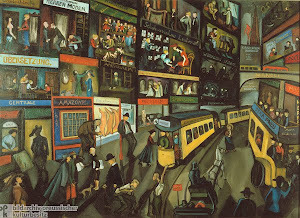 Perhaps the pictures are uniquely German in their specific form of urban noir, urban darkness - the combination of claustrophobia and aggression just filtering through from beneath the surface. I'm thinking here in particular of the photograph with the cars on the Kurfuerstendamm. Pure war. Car as berserker. I'm reminded of a part-German relative of mine who spent much time in Germany but whose German wasn't all that, and who used to say 'Curse Blast and Damn' instead of 'Kurfuerstendamm'. Very different from the Elysian Fields of central Paris or London's sedate old Mall. Yes, you are right on the button: "Car as berserker" - love it! There is a sense of dark foreboding in these pictures; something deeply sinister is about to happen. Even the lone cyclist caught in traffic is going to turn left and get crushed under the wheels of a truck. And look at the crowd of people, photographed from the rear across the road, apparently converging on a street merchant. At first, I assumed they were gawping at the aftermath of a ghastly accident - that cyclist, perhaps, decapitated. "Curse, blast and damn"! There is a pent-up violence simmering under the surface of even inanimate things. What terrible atrocities will that sports hall witness? Nicholas Sack.